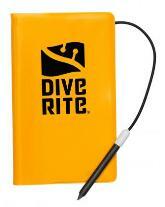 Scuba Center carries a wide selection of slates for almost every underwater application. This is a fully equipped no-nonsense slate. 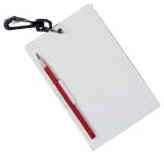 Comes complete with brass split-ring, synthetic pencil, swivel clip and pencil clip.